2016 – Featured local t-shirt artist to be determined! 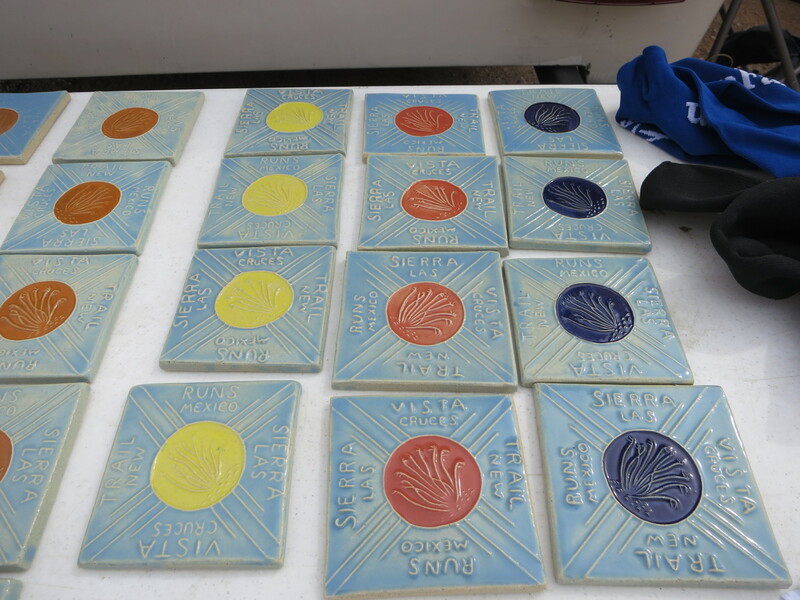 Award tiles will be given to 50k finishers and the top three men and women in each distance category. T-shirts are included with 50k registration and can be bought separately for the other distances. Sizes cannot be guaranteed if you order a shirt less than a week before the race. 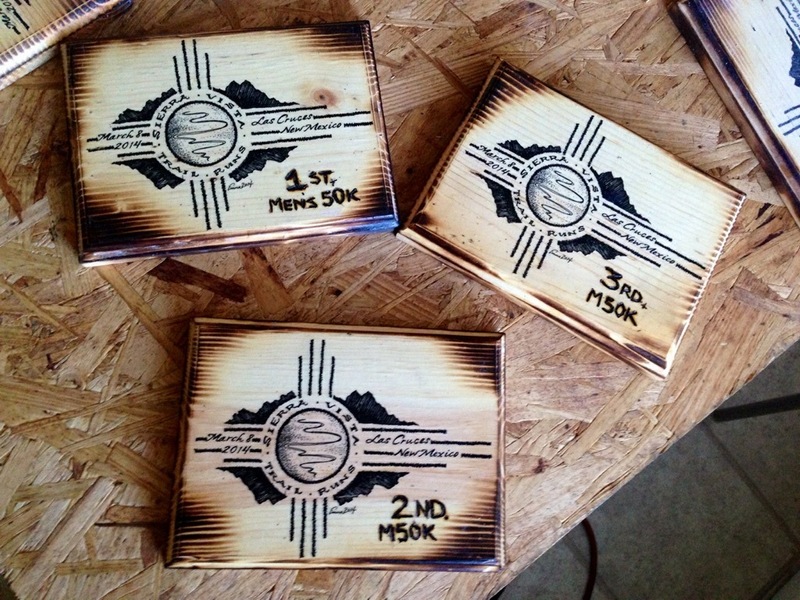 2014 – Award plaques and prints by Las Cruces artist, Meg Freyermuth, will go to the top three female and male finishers in each distance. Also, all 50k finishers will receive an plaque. Prizes from Up and Running, irunfar, Adidas, Beck’s Coffee, Outdoor Adventures, Trail Runner Magazine and Crossroads Community Acupuncture will be raffled. The award plaque and t-shirt design is by Las Cruces artist, Emma Henderson, and Eugene Smith made the plaques. 2013 – Awards will go to the top three female and male finishers in each category. 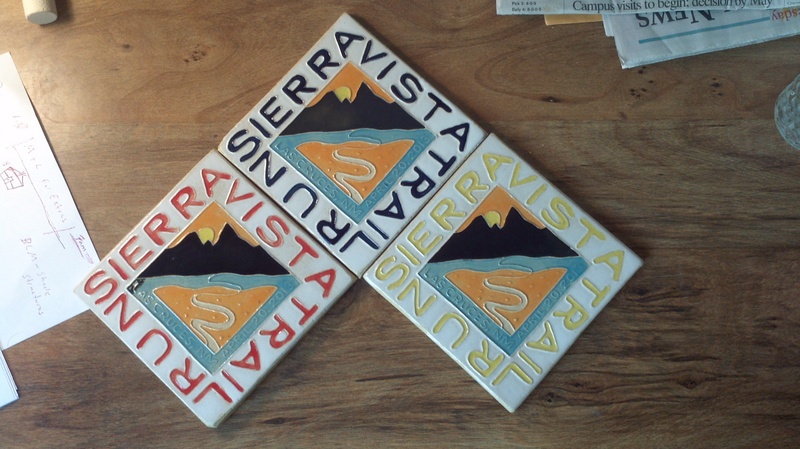 The awards will be hand made tiles by Dan Carter. There will also be prizes from our sponsors. I love my tile. Such a cool award. Thanks for an incredible challenge, a well-organized event, and a wonderful day all around. I’m glad you love the tile. I enjoyed making them for all the top finishers. I hope we can get some more hand made awards for next year.